To ensure that every part of your project goes smoothly, your ideal finishing contractor will prepare first and foremost by fully understand- ing the scope of your work. Clear communication skills, along with an understanding of the building process, allows dependable finishing contractors to work well with architects, project managers and customers, helping to create a productive work environment. And because they’re one of the last trades to leave a project site, they know how schedules can change and they can adapt to meet your deadlines. Sustainability is more than just a good idea. On many projects it’s a requirement. That’s why quality finishing contractors understand and implement green standards correctly. 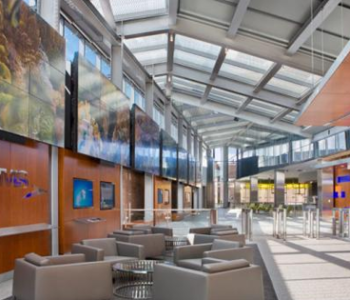 The Leadership in Energy and Environmental Design (LEED) program is the nationally accepted benchmark for the design, construction, and operation of high-performance green buildings. Sustainable design seeks to reduce negative impacts on the environment and the health and comfort of building occupants, thereby improving building performance. Every project and environment is different and unique. The best fin- ishing contractors know that painting a bridge on the Eisenhower demands different skills than painting an office in the Merc – just as commercial buildings require different treatments than housing tracts, and public projects must conform to different standards than privately- funded ones. Taking the time to choose an experienced finishing contractor will save you time and money in the long run. If you’re a general contractor or builder, you’ve got deadlines. Everything depends on finding the right subcontractors for the job, at the right price – fast. It’s important to find experienced, dedicated subcontractors who are qualified for your project – and who return bids promptly! So you have one less thing to worry about.